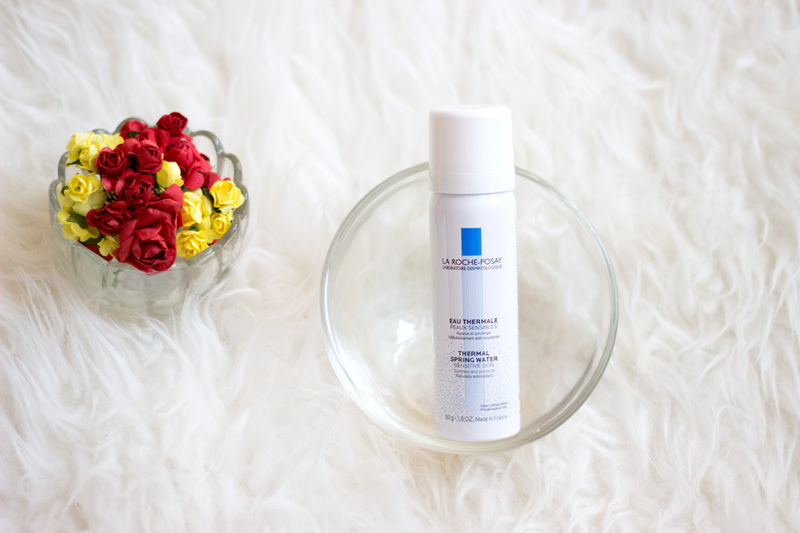 I received the bigger size of the La Roche Posay Thermal Spring Water during summer and I was obsessed with it. The only problem I had was that I could not carry it with me in my handbag. I was hoping they had a smaller size and was delighted to find it on Escentual and it had to get into the basket. It feels so refreshing on my skin and hydrates my face at the same time. I think I use it the most compared to my other facial mists because it just feels so good. I love the cute size which goes really easily into my bag and the way it sprays the mist is so lovely. I am very particular about how facial sprays/mists dispense the mist and I love the way it covers my whole face with a light mist. Love it!! I really wanted to try this after I read Paula from Thirteen Thoughts review and I knew it would be a firm favourite. I was going to get the Caudalie Beauty Elixir but it has some alcohol in it which I knew I won't like in a mist. However, the Caudalie Grape Water has no alcohol and is made predominantly of 100% Organic Grape. It has a slight fragrance from the grape (not artificial) which I love because I love grapes (my fav fruit). It feels really refreshing and it moisturises the face really well. I prefer to use this more in the house as opposed to when I am out and about. It works better for me as a toner (pre makeup). 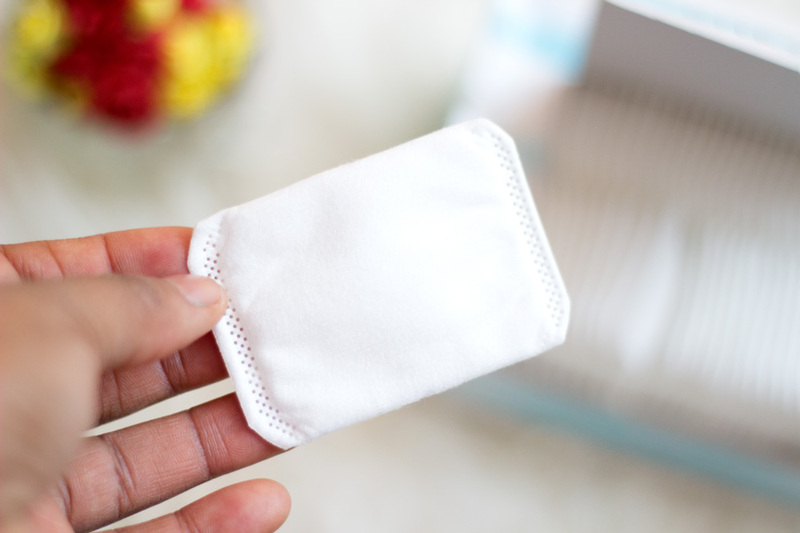 These cotton pads have been on my wish list for the longest time but each time I just forget to add it to my basket or something else happens. 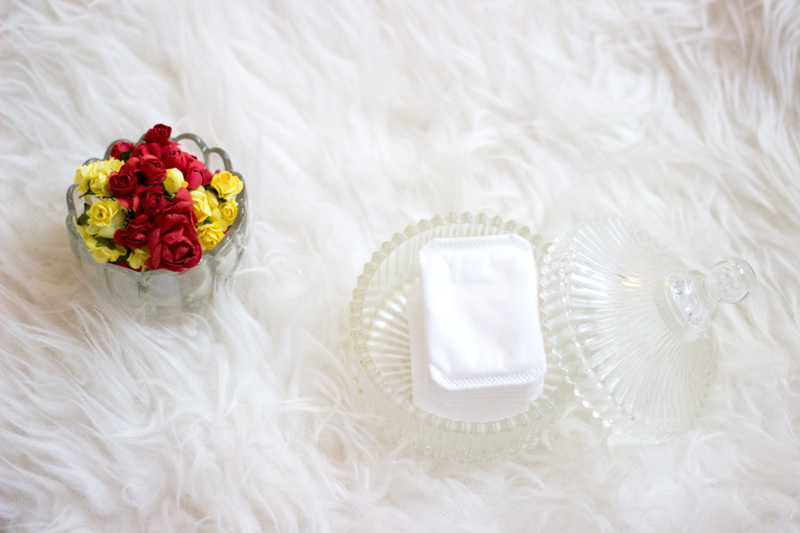 Everyone has compared it with the Shiseido Silky Cotton Pads (which I have tried samples of) and I can see why. It feels very similar but the Shesido one has slightly better quality which you may not notice if you are not looking out for it. 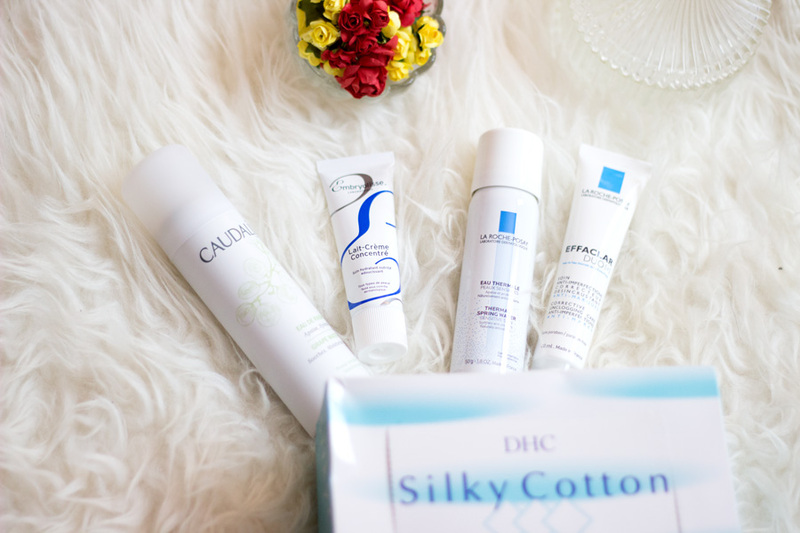 The DHC Silky Cotton Pads are definitely one of the best (non-high end) cotton pads I have every tried. 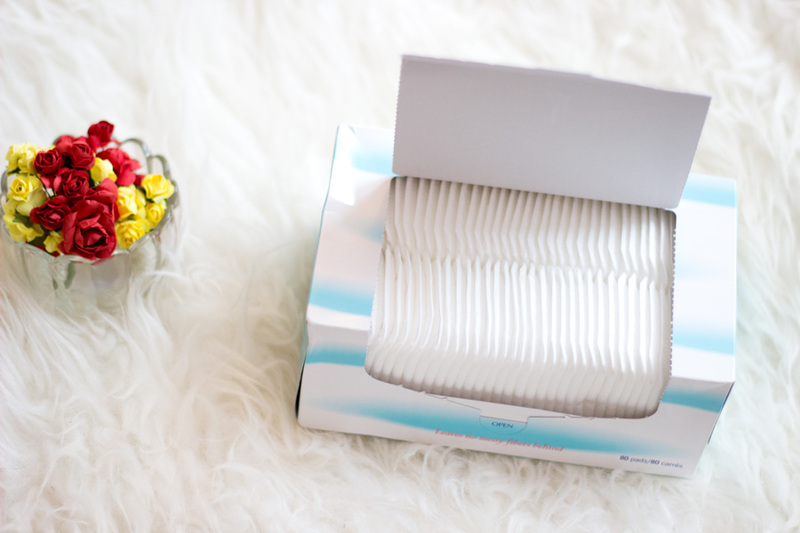 In the pack, you get 80 Cotton Pads and I feel it is so much worth the price. It has a silky feel; but not silky to the point where products just run off the surface. It does a good job at absorbing products and it does not get fluffy easily I love. The good thing is only one cotton pad can be enough for an application and the quality is incredible. I almost feel I should not even bother talking about this product again because I have spoken about it so much. I have several reviews here and here. I have repurchased it more times than I care to count and it is incredible. It works best for me as a preventative treatment to ensure that my skin does not feel decongested, etc. I love it so much and I can't be without it for any reason. I was even sent some products earlier this year from La Roche Posay but I still went ahead to buy more backups because I am that obsessed. 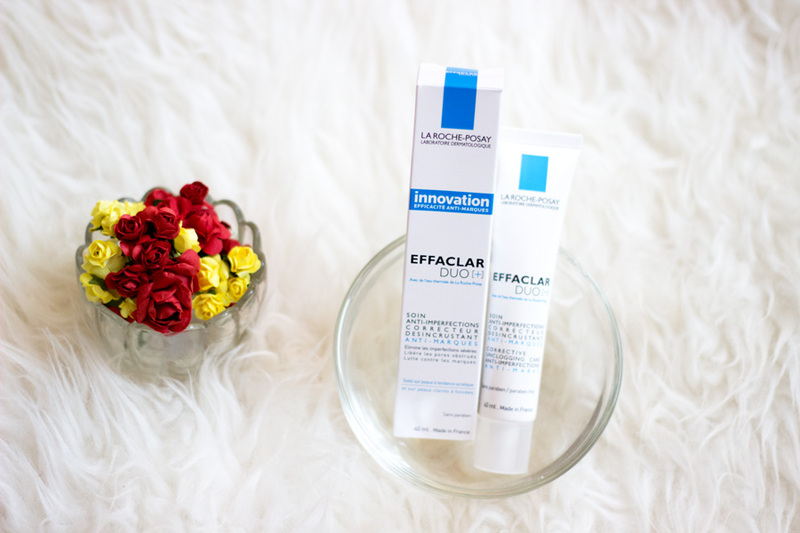 If you have acne prone skin or decongested oily skin, this is one to try. I have seen this product make the rounds for a few years now and I feel it is really popular because it is multi purpose. It can be used to remove makeup, primer, moisturiser, etc. I use it mainly as a primer and it works so well. I have not had any issues at all with it at all and it has even served as a mosituriser for me. I think it is particularly formulated for people with dry skin but anyone can use it obviously. I love it and I think I may be reviewing it soon. I am thrilled with all my purchases and I am so glad I got a good deal with free delivery. It is always handy to subscribe to Escentual Newsletter so you get informed of any of their offers. Each time I get an enticing and juicy discount from them, I just make a small order. That's pretty much it for today. If you would like any specific reviews of any products, do let me know in the comments box. 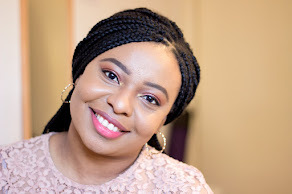 Have you tried any of the products featured in this haul? 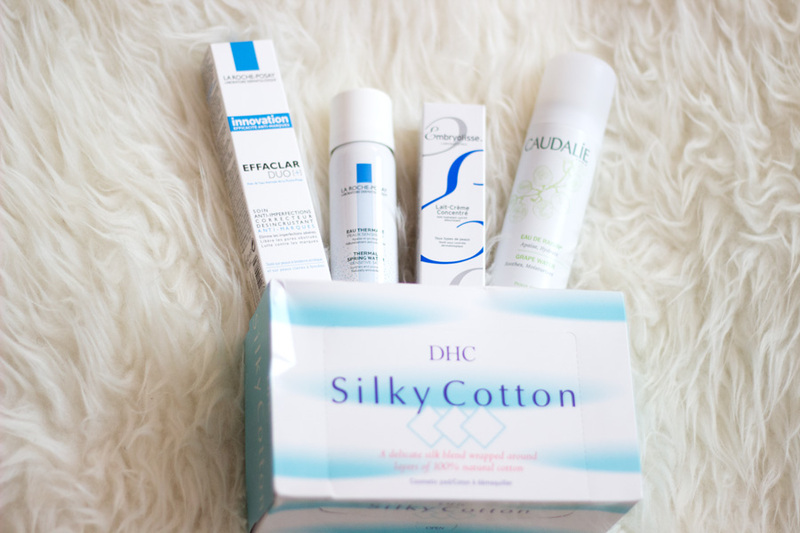 I have never seen or heard of those DHC Cotton Pads before, but love the look of them. It is certainly something I will add to my wishlist. Same thing happened to me with Caudalie mist, I was going to get the Beauty Elixir, but after reading a couple reviews I went with the Grape Water Mist. 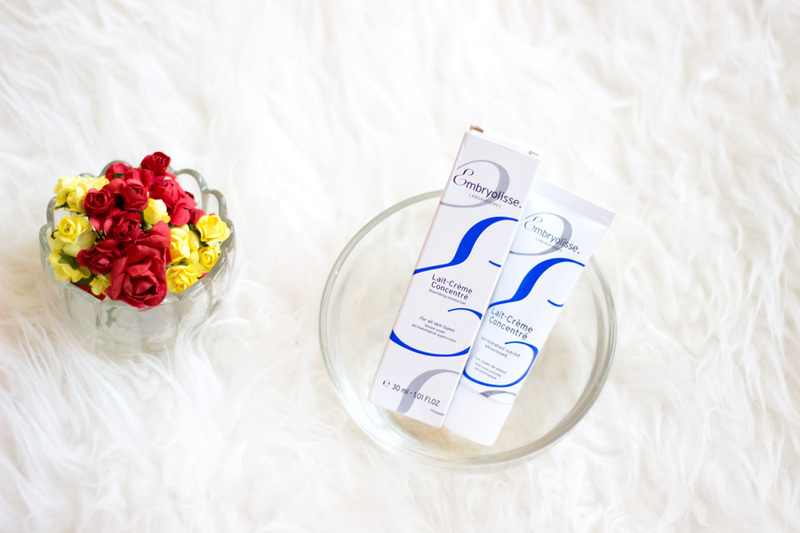 I'm so glad you're loving it too :) I actually really want to try the Embryolisse cream, I'd definitely love to read your review. I've read some people say that it's a must-have, others say that it's nothing too special. I think it would be a great product for me to use during winter because my skin gets super dry.